Kewaunee County Agriculture programming covers a wide variety of topics such as farm worker safety, farm profitability, farm management, facilities modernization, forages, small ruminants, and companion animals. 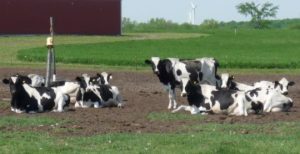 In incorporating The Wisconsin Idea, local UW-Extension and University of Wisconsin dairy and livestock specialists give local producers a leg up on the constantly changing tide of the agriculture industry. Questions that likely will be addressed by the emergency rule are noted here. Only official rules, regulations, and notices as posted by the DATCP and State of Wisconsin can be used. Official information from the DATCP and the State of Wisconsin supersedes any information contained here. If you are interested in receiving email updates from DATCP, please subscribe here! Until the new rule is written, we have no further information beyond what is available in the Statute and posted on the DATCP website. It is unclear whether there will be a legal mechanism to get hemp seed into Wisconsin in time to plant the 2018 growing season. The Drug Enforcement Administration (DEA) will likely require a DEA Import license for any seed coming from outside Wisconsin. Anyone planting before a license is issued is most likely taking a significant risk. As defined in s.94.55 (1) Wis. Stats. “industrial hemp” means the plant Cannabis sativa L., or any part of the plant including seeds, having a Delta-9-Tetrahydrocannabinol (THC) concentration of 0.3% or less, although this allowable percentage may be raised up to a maximum concentration of 1% THC if in the future federal law allows a higher percentage. The statute includes the definition a substance, material, or product that is not designated as a controlled substance under the state Uniform Controlled Substances Act, or the federal Controlled Substances Act, or both. Industrial hemp is classified as non-drug Cannabis sativa varieties, whose fruit is technically an achene, or a single-seeded fruit similar to a sunflower. Both the seed and hemp’s tall stalk provide significant carbohydrate feedstocks for a wide variety of industrial purposes that are used in several countries. The oil pressed from hempseed in particular, is a rich source of polyunsaturated omega-3 and omega-6 fatty acids, which are essential for human health. These same fatty acids in hempseed oil make it a fine drying oil that is used in the production of paints, varnishes, and other coating materials. Plastic flooring such as linoleum and similar materials have been made from hempseed oil, and other non-food uses of hempseed oil are similar to those of linseed oil (flaxseed oil). Wisconsin Department of Agriculture Trade & Consumer Protection (DATCP) will promulgate rules establishing an industrial hemp program. The State of WI industrial hemp program must generally maximize opportunity for a person to plant, grow, cultivate, harvest, sample, test, process, transport, transfer, take possession of, sell, import, and export industrial hemp to the greatest extent authorized under federal law. Ensure the quality of industrial hemp grown or processed in this state, the security of activities related to industrial hemp, and the safety of products produced from industrial hemp, including any necessary testing. Verify adherence to laws and rules governing activities related to industrial hemp. Enforce violations of laws and rules. Require an initial fee from any person who plants, grows, or cultivates industrial hemp equal to the greater of $150 or $5 multiplied by the number of acres used to plant, grow, or cultivate industrial hemp, but not to exceed $1,000. An annual fee may also be imposed on any person whose industrial hemp activities are regulated by DATCP. This annual fee may not exceed an amount sufficient to cover DATCP costs to regulate those activities. Ensure that certain information in its possession is confidential, except that this information must be made available to a law enforcement agency or law enforcement officer. DATCP is required to create a pilot program to study the growth, cultivation, and marketing of industrial hemp. The Act requires DATCP to issue licenses that authorize the planting, growing, cultivating, harvesting, sampling, testing, processing, transporting, transferring, taking possession, selling, importing, and exporting of industrial hemp. Such licenses do not expire unless the pilot program expires or the license is revoked. How do I apply to grow hemp? How long is my pilot production license good for? Am I required to do anything else if I participate in the pilot program? How do you know my field’s THC content? What if my plants test above the acceptable 0.3% delta-9 threshold? How does growing hemp affect my FSA and/or federal crop insurance contracts or program participation? Can I grow hemp inside a greenhouse? Can I see a list of hemp growers or hemp processors licensed in the state? Do I need to notify the sheriff/local police? Do I need to build a fence or put up signs around my field? Can I grow hemp near a school, a town, or a major road? Are there restrictions on where I can grow it? Do I need a license to process hemp? When do you plant hemp? Based on work done in neighboring states, planting done from mid-May to late-June resulted in highest yields with lower risk of frost injury. General seeding recommendations is between 20-40 lbs per acre for grain production, and 40-60 lbs per acre for fiber production. A lot of factors go into determining the optimal seeding rate for your field, including the variety, seed purity and germ, local conditions, etc. What are some seeding recommendations? Can you plant hemp on hemp? How does it fit into a crop rotation? Can I grow hemp organically? Yes. On August 23, 2016, the National Organic Program (NOP) released this statement: “For hemp produced in the United States, only industrial hemp, produced in accordance with the 2014 Farm Bill, as articulated in the Statement of Principles on Industrial Hemp issued on August 12, 2016 by USDA, may be certified as organic, if produced in accordance with USDA organic regulations.” Some certification agencies will allow industrial hemp to be included in an organic rotation, so long as the growers are properly licensed under a pilot program. However, some certifiers may be taking a more hesitant approach, since there are many questions yet to be answered. Thus, farmers should talk to their certifier before making the decision to include this crop within their organic rotation. If growing industrial hemp, organic farmers will be required to do an organic seed search before using nonorganic seed. Use practical organic farming practices such as a perennial clover or green manure plow down, with added manure to increase nutrient availability for rapid initial growth. Reduce any weed pressure by plowing and harrowing prior to sowing. The seedbed must be as fine and even as possible. Good soil, farming experience and proper nutrient levels are essential for successful organic oilseed hemp production. Do you need to fertilize hemp? Hemp has similar nutrient needs as canola and especially requires added nitrogen. Fertilize like rapeseed (Canola- Brassica napus) with 15% additional nitrogen. Conventional NPKS (nitrogen, phosphorus, potassium and sulfur) fertilization is recommended at the same levels required to grow rapeseed. Apply additional K and S wherever soils are deficient in these elements. How/When do you harvest it? Hemp can be grown for seed or fiber. Hemp grain harvesting is generally done by straight combining, however swathing is also used. Newer models of combines are best suited to handling hemp harvest and require minimal modifications. The new machines have bigger cylinders and cleaning area. In addition, newer combines can operate with headers at higher levels so all stands of hemp can be accommodated. Most new combines are now rotary design. Some new machines have the swath entering at the bottom of the cylinder. The draper header is preferred by growers. The top third of the crop may be combined for grain while the plants are still “green” (70-90% seed head maturity). Harvesting while the crop is partially green will help minimize cutting and wrapping problems. The main disadvantage at harvest is plugging the combine with stems and other moist vegetative material. Dry field conditions are essential for a good harvest. However, a dead and desiccated crop will be more difficult to cut, more prone to wrapping and subsequent fire hazard. Grain moisture should be at least 10-15% at the time of harvest. Yields can vary widely depending on the variety, local climatic conditions, cultivation method, and grower experience. For grain, new growers have reported yields between 250-700 lbs/acre. More experienced growers can expect between 800- 1,800+ lbs/acre. For fiber, the average yield for dual purpose crops (those varieties which are harvested for grain and fiber) is 0.75-2 tons/acre. For hemp produced solely for fiber, the average yield is between 3-5 tons per acre. Hemp has a large root capable of penetrating deep in the soil profile to recover nutrients that may be lost to many other crops, up to the 24-inch level. What are some weed management strategies? Given a good start, hemp can be an effective weed suppressant. Currently, there are no registered herbicides for weed control in hemp. A quick, even emergence is the key to effectively compete with weeds, by rapidly creating a dense leaf canopy within the first month of growth. Hemp will self-thin to an optimal density, and it is better to have this crop compete with itself, rather than weeds. It is recommended to minimize weed pressure in the previous year and start with spring tilling and harrowing. Perennial forages or green manure plow downs are good preceding crops. Problem weeds may include wild buckwheat, wild oat, Amaranthus species, Chenopodium species, rapeseed, and other volunteer crops. Where can I buy hemp seed from? program must include the testing and certification of THC concentrations in hemp plants. Participation in the certification program must be voluntary for growers and cultivators of industrial hemp. The Act also authorizes DATCP to seek federal approval to serve as an importer of industrial hemp seed. Importing seeds into Wisconsin to begin the hemp program may require permission from the U.S. DEA, which could affect the time when production can begin. Can I save seed for planting the following year? Do I need a seed permit to sell hemp seed in Wisconsin? Can I breed a new variety of hemp for Wisconsin? Do I need a grain buyer’s license to buy hemp grain? Yes, if you are buying hemp grain with the purpose of reselling the grain or products made from the grain. In addition to a license, a bond must be acquired. All harvest related equipment should be cleaned out prior to harvest to ensure no contamination occurs from other crop types that are difficult to clean out of hemp. Clean grain as soon as possible to maintain grain quality and ensure safe storage. Inspect trucks for cleanliness before loading clean grain that is destined for the processor. For maximum shelf life, grain should be stored in a clean, dry location. Storage temperatures in excess of 75° Fahrenheit for a sustained period of time may cause rancidity and separation of the soluble and insoluble proteins. The industry has accepted 10% moisture as dry. A safer level is 8 or 9%. Percent moisture requirement should be checked with a contractor. Who will buy my hemp if I grow it? The market is limited and constantly in flux for hemp in the U.S. due to many different factors. We encourage interested individuals to contact a hemp trade association to learn more about marketing opportunities. How much can I sell my hemp for? Prices for hemp grain are widely fluctuating in the U.S. specifically due to the infancy and constant development of the industry. According to the Alberta Agriculture and Forestry Department, the average hemp grain price in 2015 in Alberta was $0.74 per pound. Typical returns for hemp grain in the U.S. have been between $0.40-0.70 per pound for conventional, and $0.75-1.00 per pound for organic. Due to the volatile nature of the current U.S. hemp industry, growers are advised to secure a contract before they plant. The Alberta Agriculture and Forestry Department reported an average total production cost for hemp seed grown on dryland in 2015 at $409 per acre. With an average grain yield of 1,074 pounds per acre, that amounted to $0.38 per pound of hemp seed produced. In Minnesota, hemp seed prices are widely variable based on the variety and the source. Imported seed has additional shipping and customs fees above and beyond domestically produced seed. Farmers should also consider the possibility of needing to buy or rent new harvesting equipment if they grow hemp. In 2016, hemp producers in Minnesota reported costs per acre between $970-$2,500 per acre. In 2017, initial reports indicate production costs of between $300-$600 per acre (does not include land cost). Who will process my hemp in WI? Where are processors located in WI? Can I export hemp product to other countries? Can I sell grain or fiber to other states? Can I sell seed to other states? Are there any grants that I can get? Can I grow hemp under contract with someone else? Can I feed hemp to my livestock? Hemp is not currently an approved ingredient for commercial animal feed. Therefore, hemp material cannot be sold as animal feed. Corn must be ensiled at the proper moisture to get fermentation for preservation. 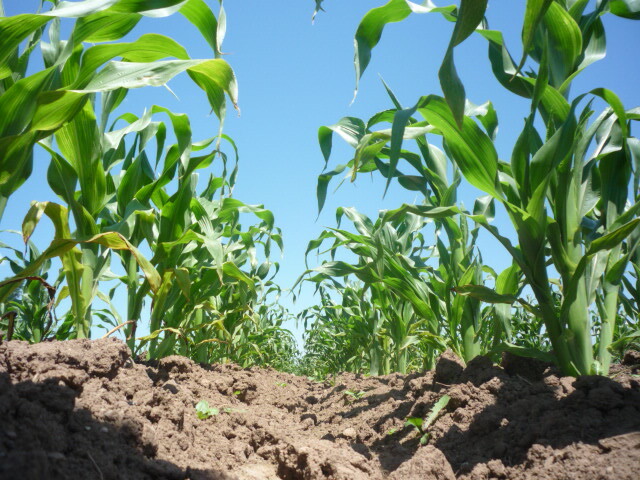 But, determining when to harvest corn at the right whole plant moisture is difficult. Each storage structure properly ensiles at slightly different moisture optimums. Harvesting corn too wet for the storage structure will result in reduced yield, souring and seepage of the ensilage, and low intake by dairy cows. Harvesting too dry reduces yield, can cause mold to develop, and lowers digestibility, protein and vitamins A and E. The objective of this paper is to review field sampling procedures for accurately timing corn silage harvest. More information can be found at UW-Extension – Team Forage. The start of corn silage harvest for 2016 is just around the corner. Read more about the latest technology developed by UW-Extension agriculture agents Greg Blonde and Ryan Sterry that helps determine a fair price when buying or selling corn silage. UW-Extension works with our county dairy farmers to ensure healthy herds, safe working conditions, and optimal milk production. For more information about the dairy industry in Wisconsin please click here. Find out more about what packers are looking for, Holstein bull calves and more. UW-Extension Dairy Team – Podcasts are available from UW-Extension. Please click here for a list of available poscasts. UW Discovery Farms – For 15 years, UW Discovery Farms has worked with Wisconsin farmers to identify the water quality impacts of different farming systems around the state. The program, which is part of UW-Extension, is under the direction of a farmer-led steering committee and takes a real-world approach to finding the most economical solutions to agriculture’s environmental challenges.